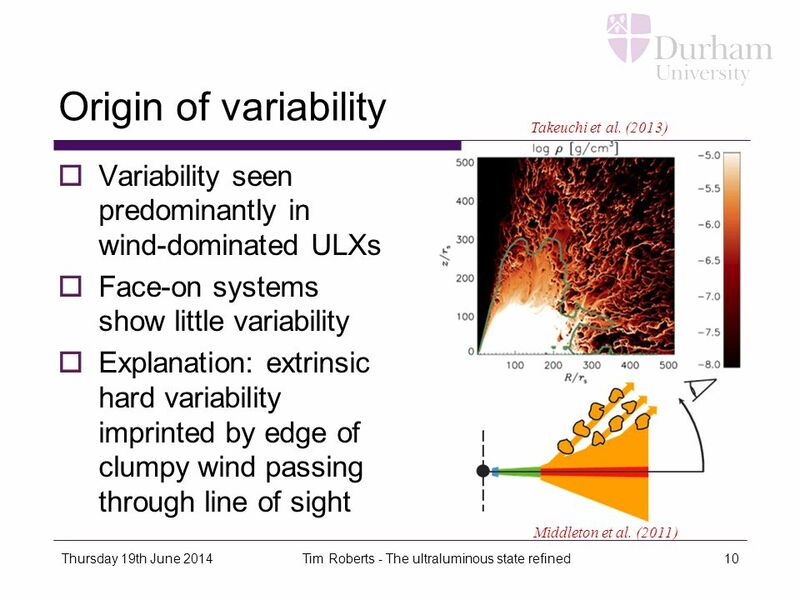 4 How do we say more about ULX physics? 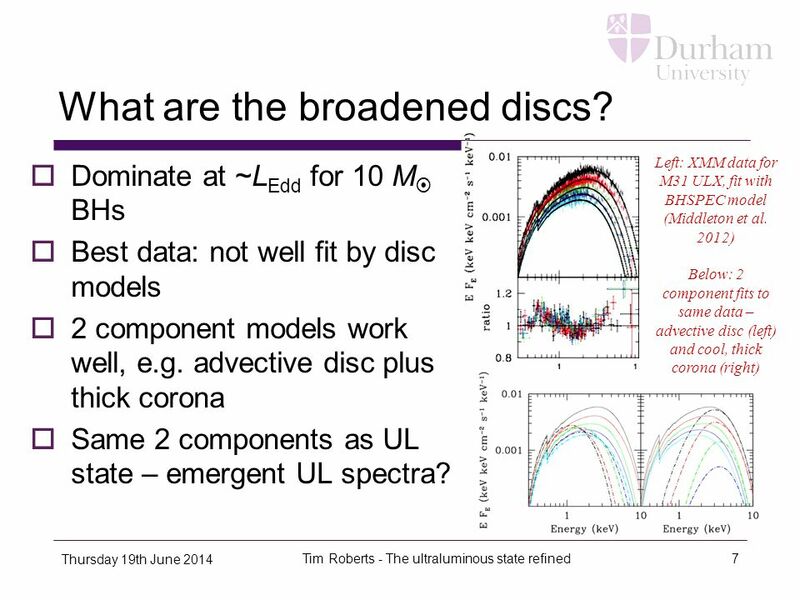 7 What are the broadened discs? 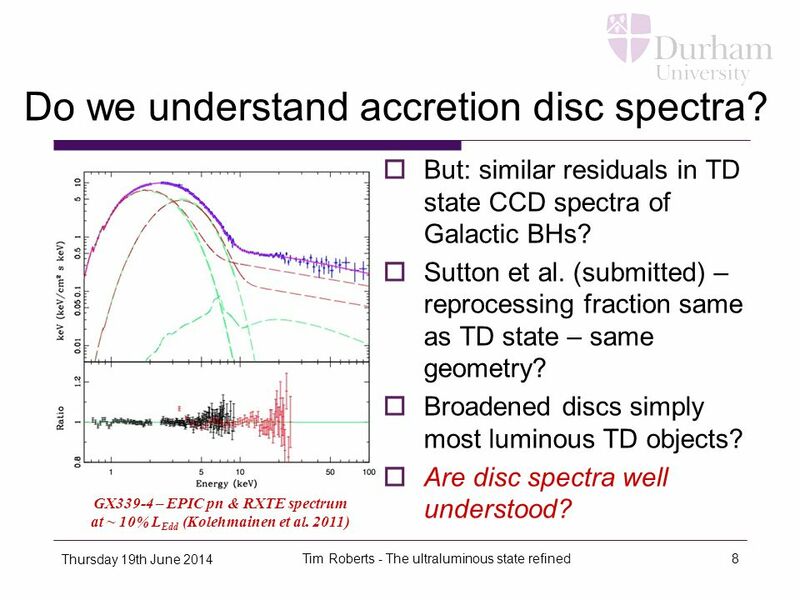 8 Do we understand accretion disc spectra? 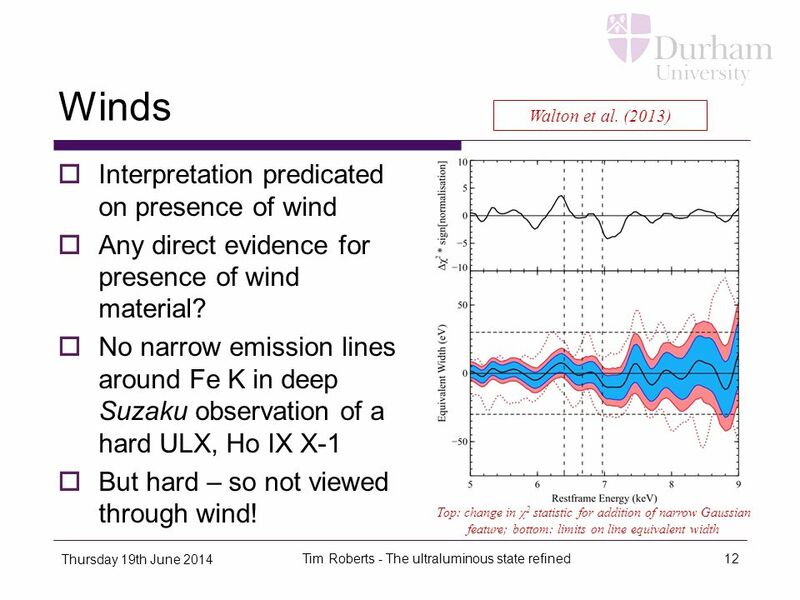 20 What happens to these winds? 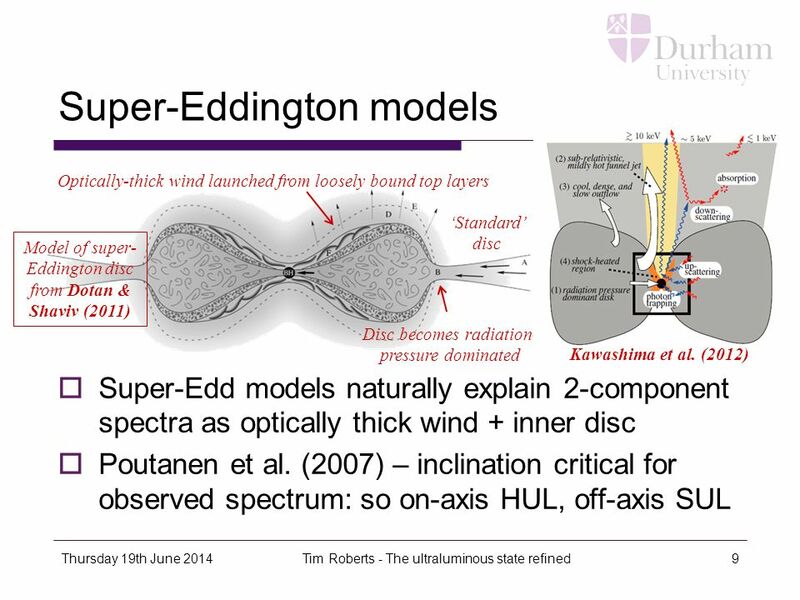 Download ppt "Tim Roberts Andy Sutton (Durham) Matt Middleton (Cambridge)"
ACTIVE GALACTIC NUCLEI X-ray broad--band study A. De Rosa, L. Piro Ginga/ROSAT/ASCA IASF-Roma Universita' di Roma La Sapienza Institute of. 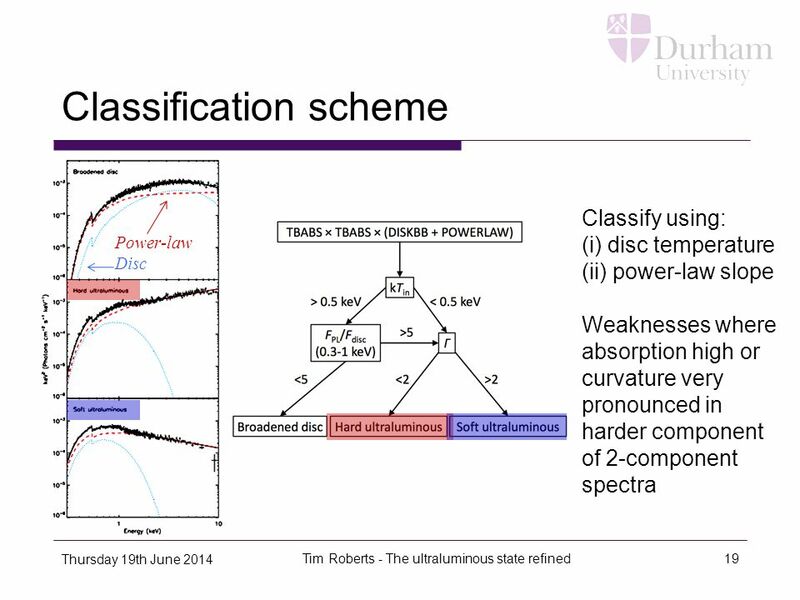 What are ultraluminous X-ray sources? 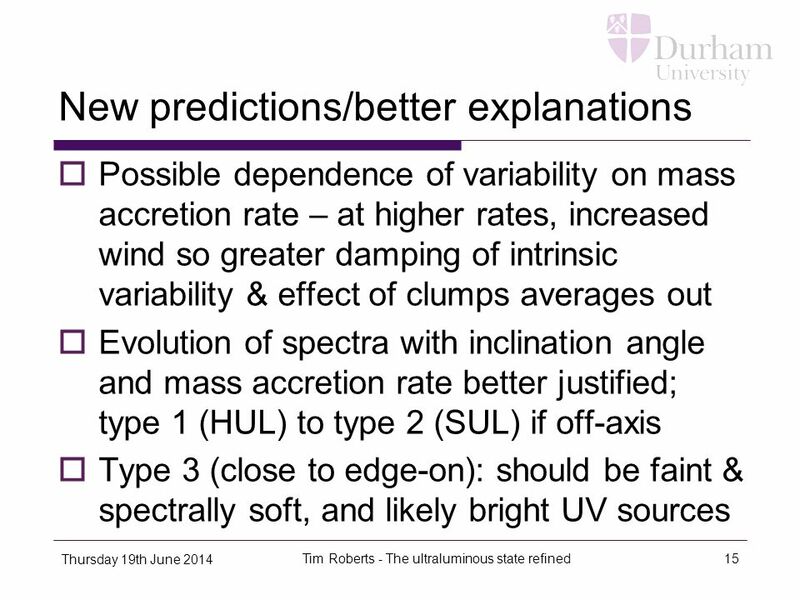 Tim Roberts. 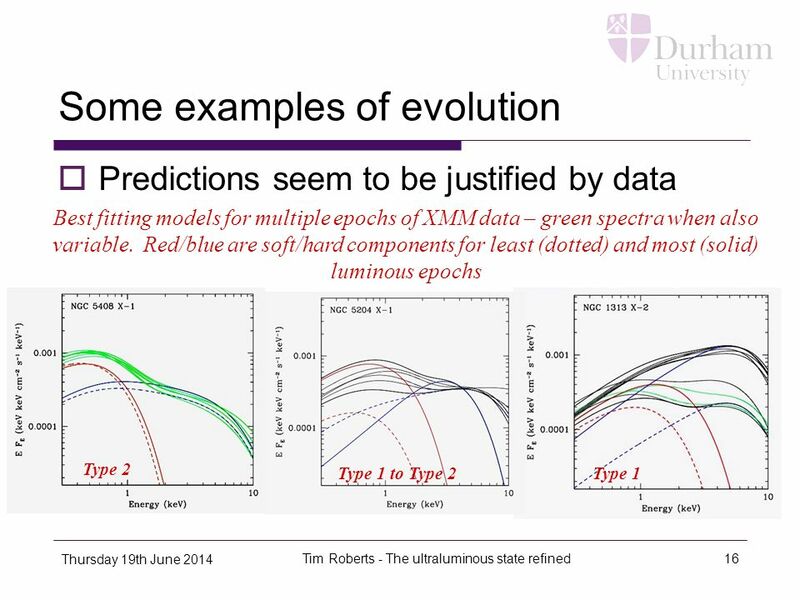 Some issues on models of black hole X-ray binaries Feng Yuan Shanghai Astronomical Observatory, Chinese Academy of Sciences. 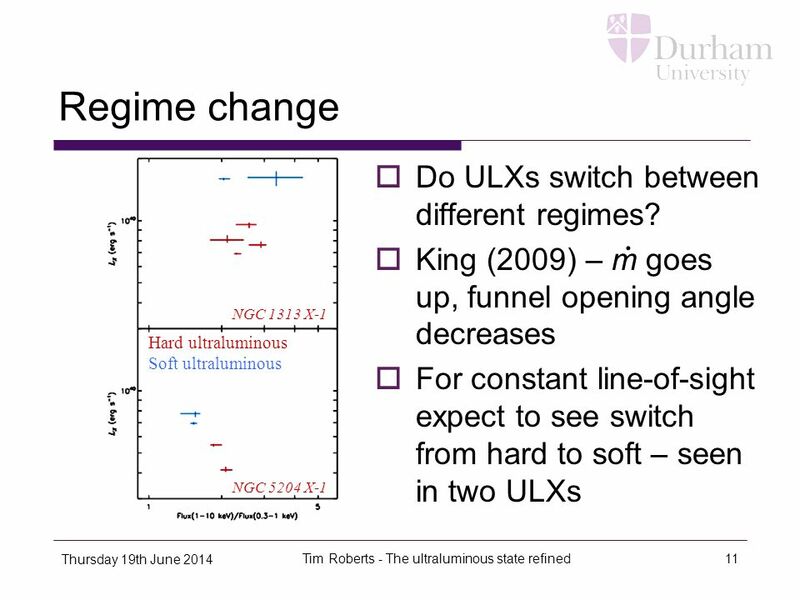 _HXISGDWS_ULXs.ppt T. Mizuno et al. 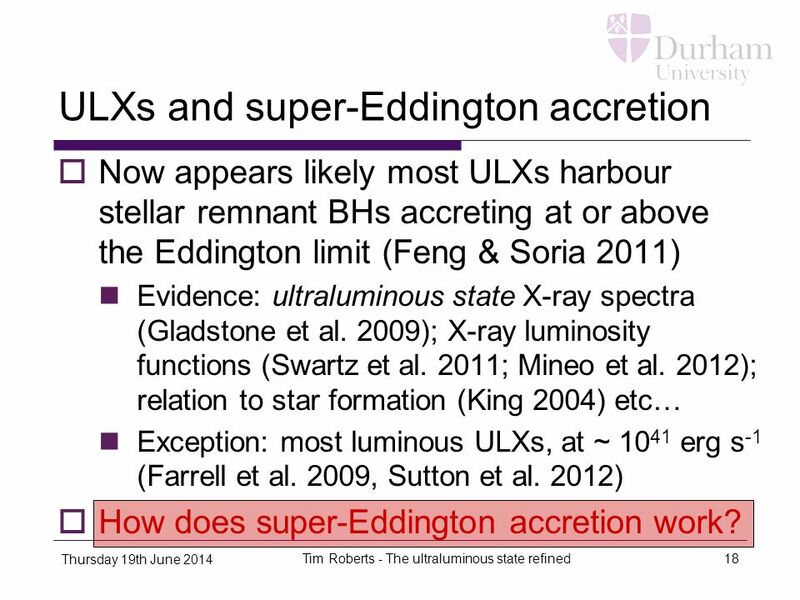 Ultra-Luminous X-ray Sources -- Past Observations, Current Status and Future with Astro-H 年 7 月 26. 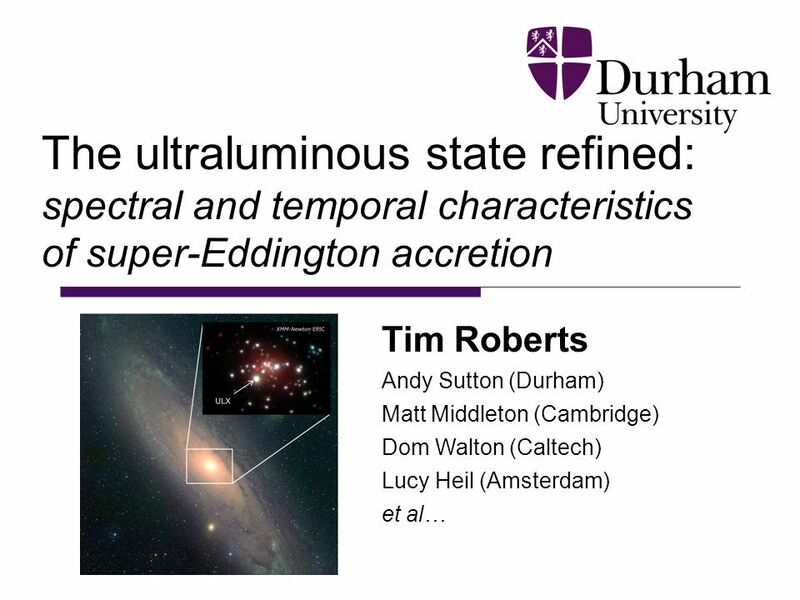 A Large Catalogue of Ultraluminous X-ray Source Candidates in Nearby Galaxies Madrid: 2010 DOM WALTON IoA, Cambridge, UK In collaboration with Jeanette. Jeanette Gladstone - University of Alberta Tim Roberts, Chris Done - Durham University Jeanette Gladstone - University of Alberta Tim Roberts, Chris Done. 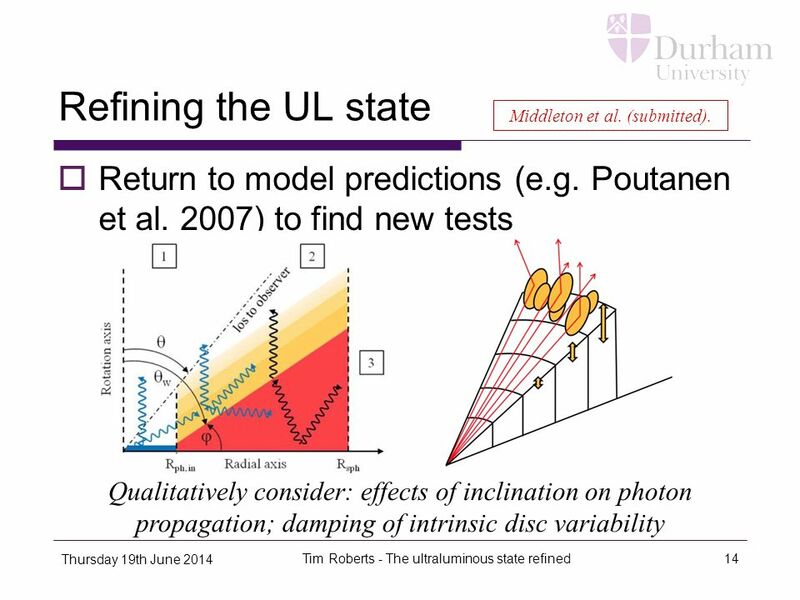 Radio and X-ray emission in radio-quiet quasars Katrien C. Steenbrugge, Katherine M. Blundell and Zdenka Kuncic Instituto de Astronomía, UCN Department. 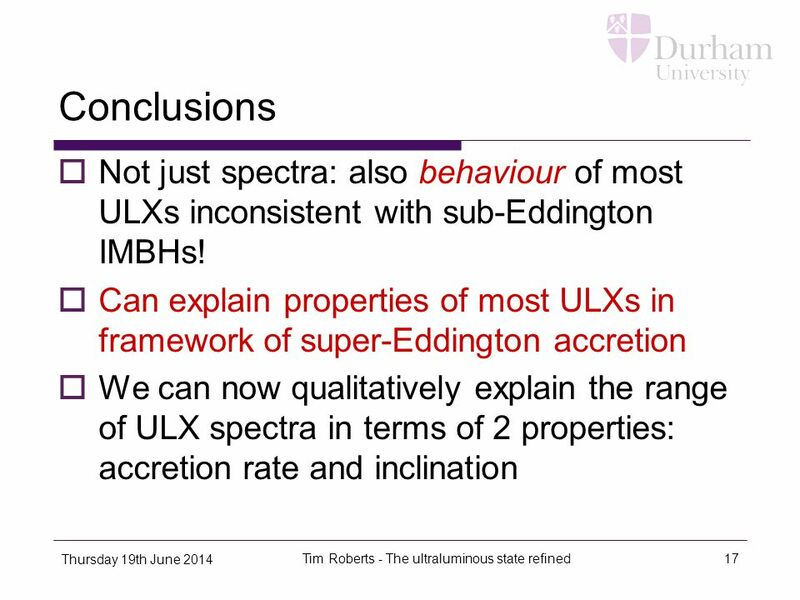 Ultraluminous X-ray sources. 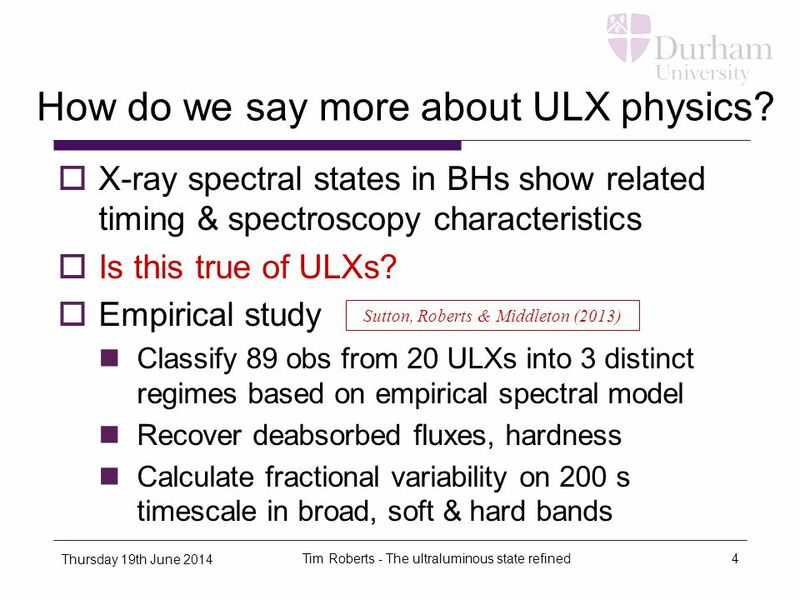 Thurs 14th October 2010Tim Roberts - ULXs2 Ultraluminous X-ray sources (ULXs)  EINSTEIN (early `80s) - some galaxies dominated. 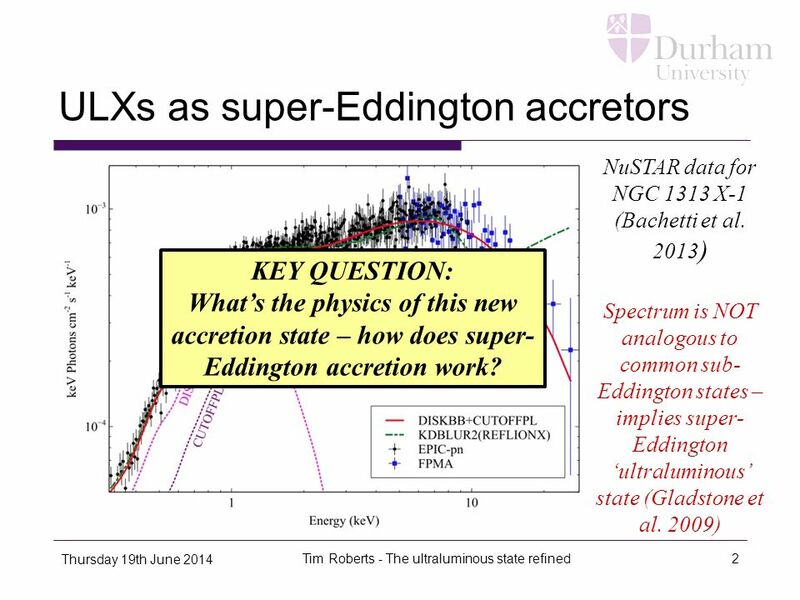 Getting to Eddington and beyond in AGN and binaries! Chris Done University of Durham. 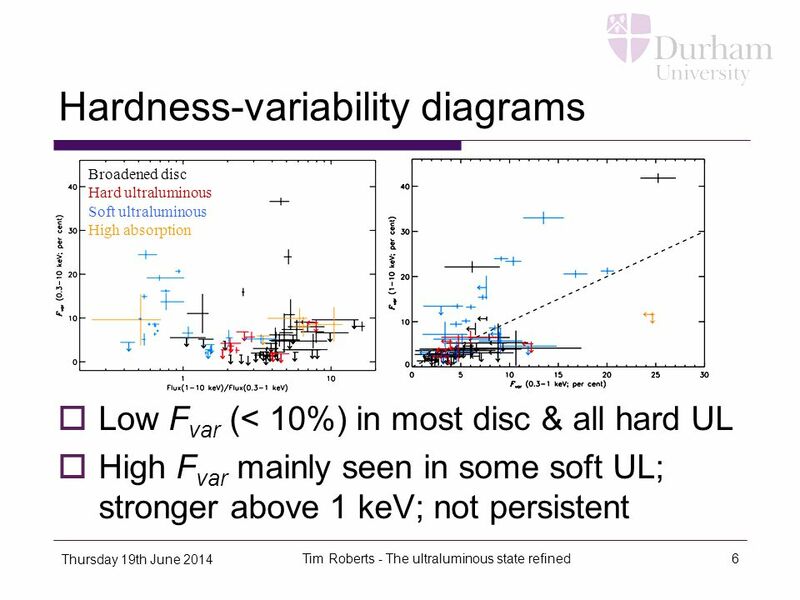 A reflection origin for the soft and hard X-ray excess of Ark 120 Ferrara, 2010 May in collaboration with: Andy Fabian, Rubens Reis, Dom Walton (Institute. 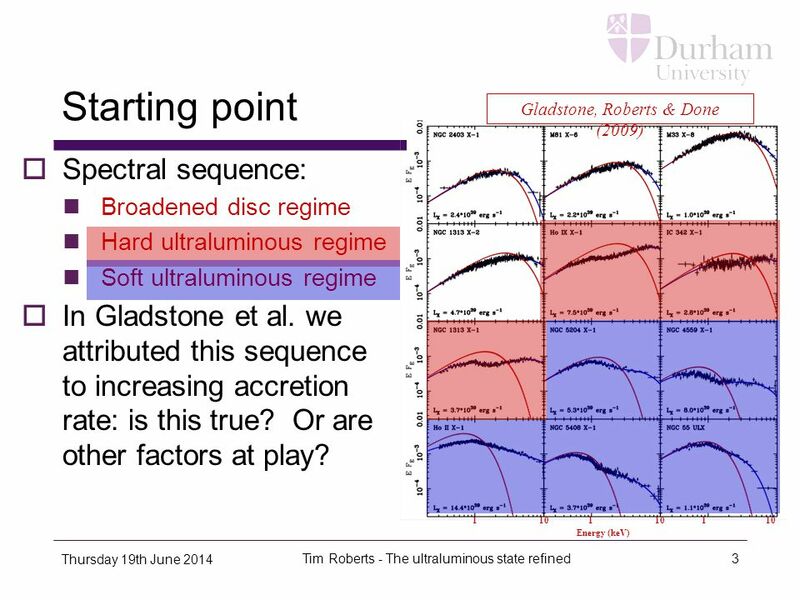 The high mass accretion rate spectra of GX 339-4: Black hole spin from reflection? Mari Kolehmainen & Chris Done, Durham University Maria Diaz Trigo, ESO. 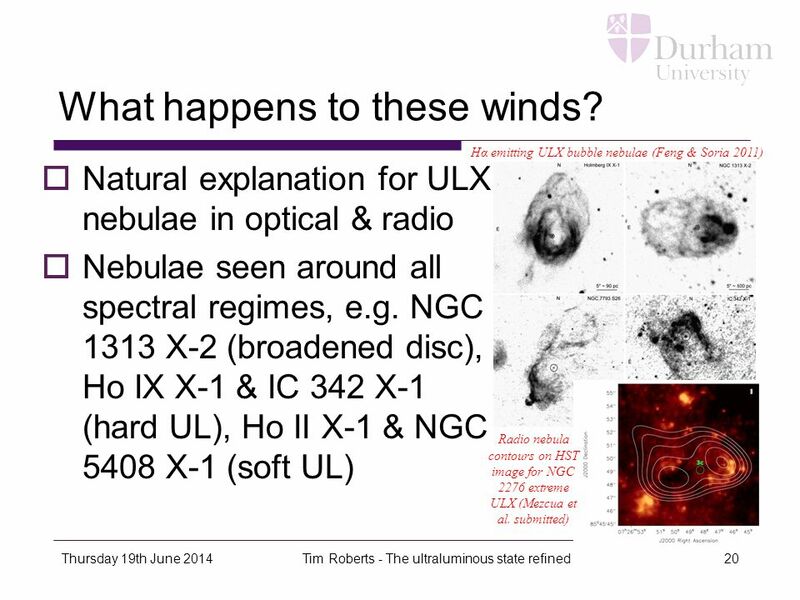 Ultraluminous X-ray sources: a mystery for modern X-ray astronomy Tim Roberts. 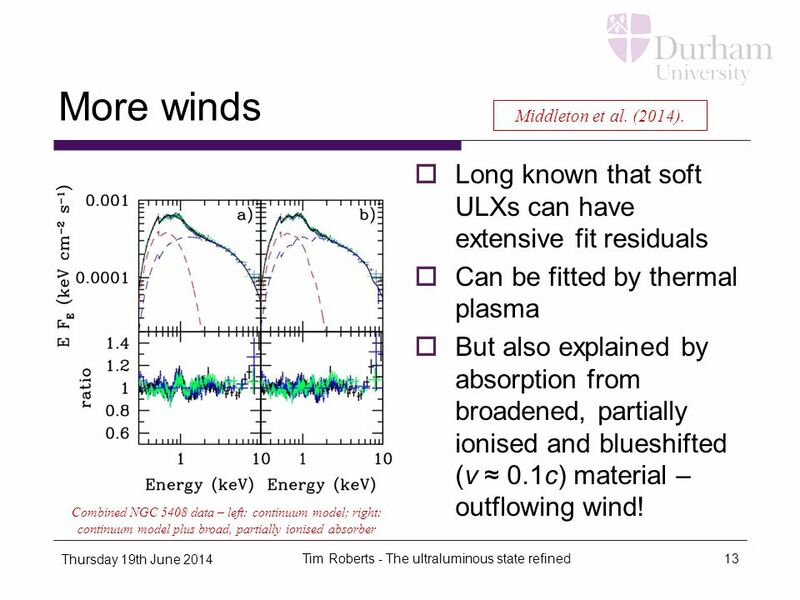 K. Makishima (University of Tokyo / RIKEN) Construct a unified view of BHs under high accretion rates ・ Some BHBs, including micro-quasars in particular. 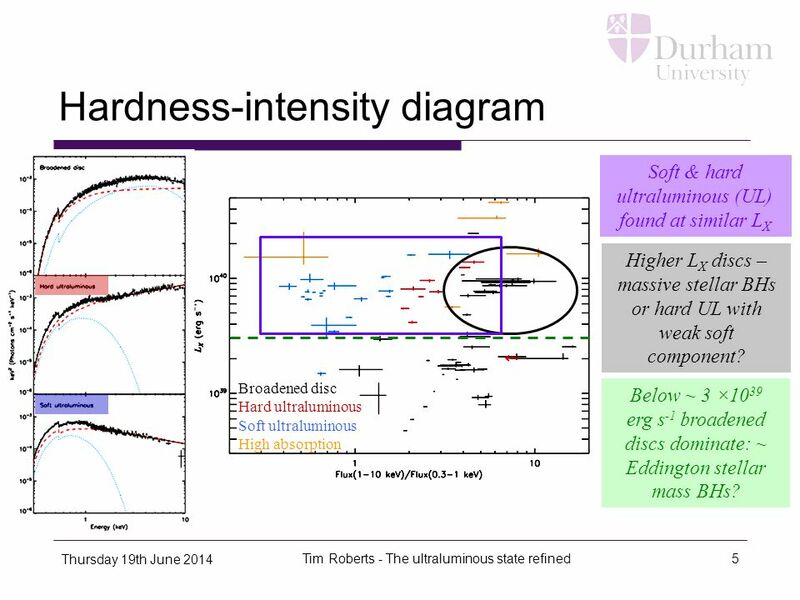 Black Hole Masses and accretion rates Thomas Boller Max-Planck Institut für extraterrestrische Physik, Garching. Tim Roberts, Chris Done, Andrew Sutton, Floyd Jackson Matthew Middleton, Tim Roberts, Chris Done, Andrew Sutton, Floyd Jackson Characterising the timing.